The new NBI Clearance Online Application and E-Payment System made the entire process of getting and NBI Clearance Certificate easier and faster than ever before. Submitting the personal information should be done online and payment fee can be processed with online banking or through payment centers. 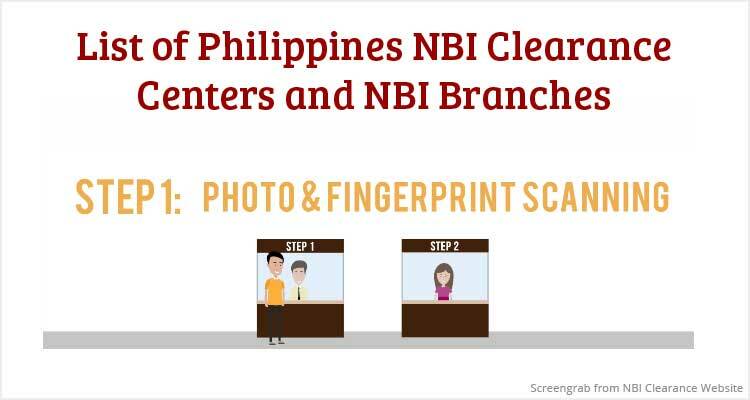 Though the new procedure lessened the long queue in NBI Clearance Centers, applicants must still show up in the scheduled appointment date for biometric finger print scanning and photo capturing. If everything is fine, applicants should get the NBI Clearance in few minutes. To know the nearest Philippines NBI Clearance Centers or Branches near you, check the list below. That was the Complete List of Philippines NBI Clearance Centers and Branches. If you have any trouble finding them or any updates regarding the addresses, do let us know in comment below. Is there NBI in PhilPost Makati? Can I apply nbi clearance in bacoor city hall? Philippine Clearances Copyright © 2019.